Watch us on the 9th Annual Cat Week by The Ellen DeGeneres Show! Every year for the past 9 years, The Ellen DeGeneres Show has celebrated Cat Week. They show hilarious cat videos, do skits and sing songs that any fan of cats and comedy will love. And this year, Cat’s Pride was the exclusive sponsor of Cat Week to help spread the word about Cat’s Pride’s Litter for Good program! It was a HUGE success! During the course of the week, over 78% more nominations were sent to animal welfare organizations across America than on average. 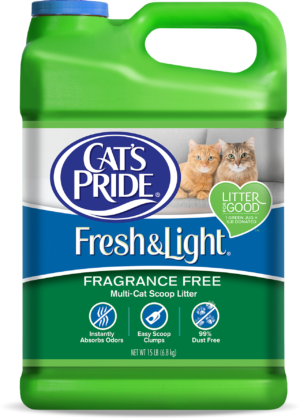 All the while, Cat’s Pride donated DOUBLE the litter for every GREEN JUG of Fresh & Light sold. In October alone, over 380,000 pounds were donated! Thank you to everyone who got involved. Whether you picked up a green jug, spread the word or watched along, you helped make a big difference in the lives of cats in need. If you joined the Cat’s Pride Club to nominate a shelter during Cat Week, welcome! As a Cat’s Pride Club member, you along with thousands of other cat lovers, are helping to provide animal welfare organizations with a much-needed resource. 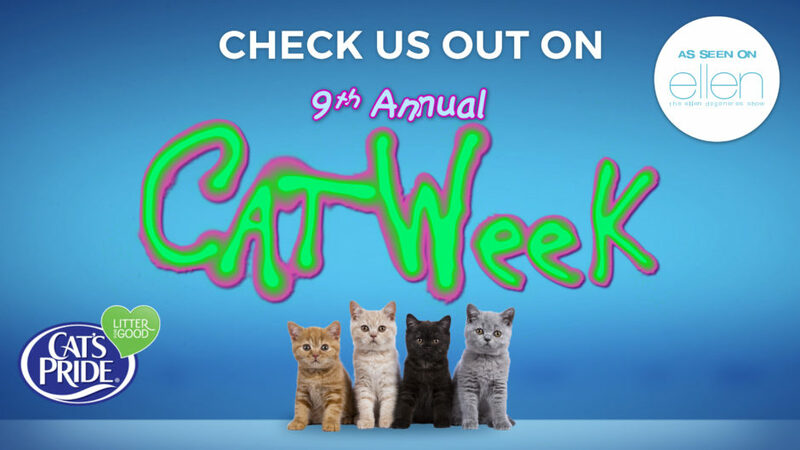 If you missed Cat Week, you can watch all the amazing clips by going to this ellentube playlist right now! When you buy a GREEN JUG, we donate a pound of litter to animal welfare organizations across America. Together, we can help more cats find forever homes. To nominate an animal welfare organization near you and to receive discounts on litter, join the Cat’s Pride Club today!